Halfbrick Studios aren't having a good year. They recently laid off half of their workforce and with that sudden change have also decided to start concentrating all of their efforts on their two most successful licenses, Fruit Ninja and Jetpack Joyride. Their latest release on the Play Store is an open beta product still under development. 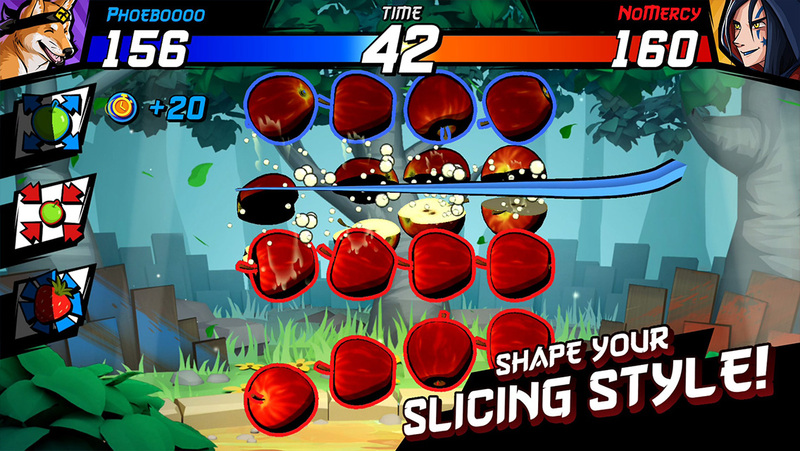 It is called Fruit Ninja Fight, and as the name would suggest, it's a multiplayer-focused Fruit Ninja game. The gameplay is simple to understand. You see, there are two types of fruit, red and blue. The fruit you want to slice is blue, and you will want to stay away from anything that is colored red. As always your job is to slice as much (blue) fruit as possible, but this time around you are competing with someone in real-time who is also there to slice as much (red) fruit as possible. Whoever scores the most points by slicing the most fruit after a short 1 on 1 match wins. The thing is, you have a few power-moves at your disposal that can help to turn the tide in the middle of a battle, but you also have to watch out as your competition will also be taking advantage of them. 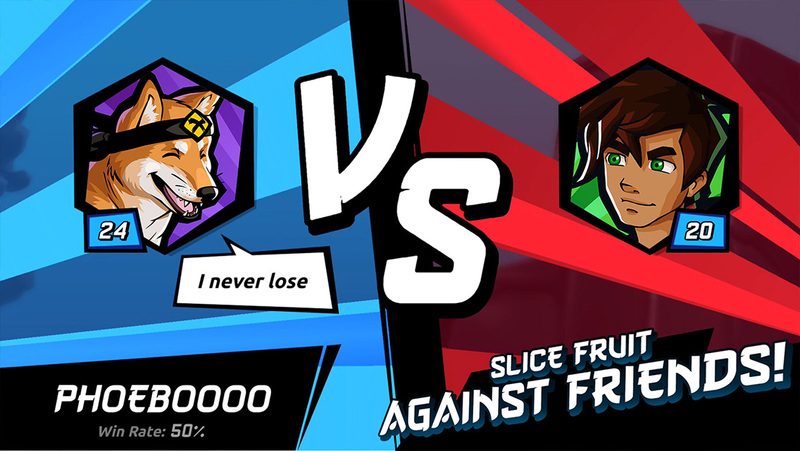 This new addition to the core fruit slicing gameplay means each battle devolves into who can undermine the other player the most. I did not find this negative element enjoyable, and sadly it is the entire base of the competitive design. Like most free-to-play games you can expect the inclusion of in-app purchases. They thankfully remain modestly priced, only ranging up to $12.99 per item. There are also two types of in-game currency. 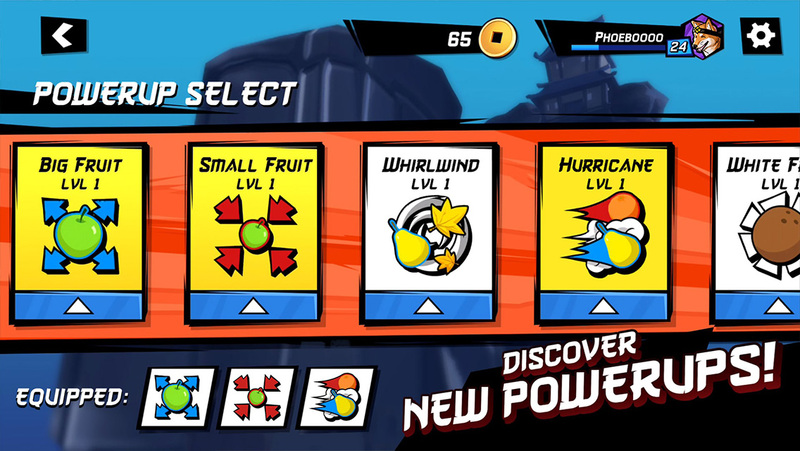 The first is purchased through IAPs, and the second is obtained with the first, though it can also be earned through gameplay. This secondary currency is mainly used to upgrade your power-moves, which is how you level-up to become stronger and gain an edge over your competition. Honestly, I'm not really sure what to make of Halfbrick's new release and business strategy. I think it's questionable that they are going to leverage the company's success on two aging franchises that have seen better days. Plus the release of this beta only cements my opinion as it doesn't offer anything special. I also find it difficult to have fun with a game that is primarily designed around negatively impacting the competition so that you can win. I suppose this describes many competitive games, but when taking into account the casual design of swiping on a screen to slice fruit, it's clear that anyone can do it with no training, which is why the original was so appealing. 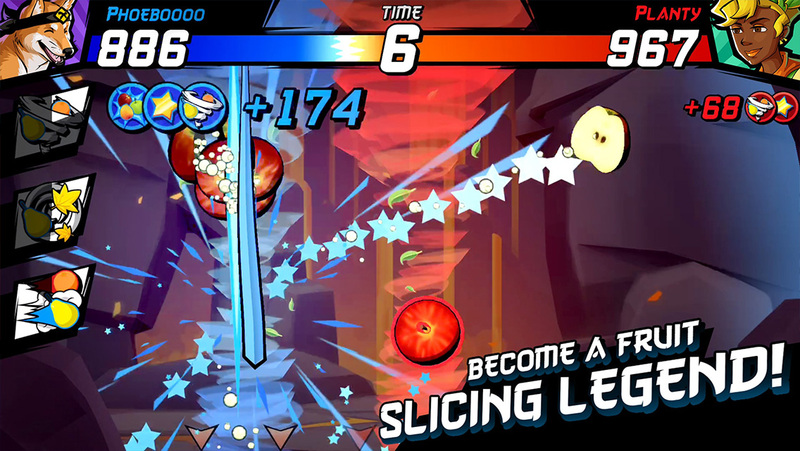 This means the only real skill necessary for Fruit Ninja Fight is the ability to perfectly time your power moves so that you can undermine the other player as much as possible. I can't say this makes for an enjoyable experience, win or lose, but hey, maybe I'm totally wrong and Halfbrick finally has another hit on its hands. I suppose time will tell.